When it was decided to publish this Policy Bulletin on 28 March 2019, it was intended to include details of the form and manner of the UK’s departure from the European Union on 29 March. We now know that this will happen on 12 April, or 22 May, or some other date yet to be decided. So for now the Union Flag continues to fly (or, as in this picture, hang limply) outside the European Union institutions in Brussels. Cytûn’s Wales & Europe Working Party is working with Welsh Government and representatives of other faith communities to prepare as best we can for the departure, whenever it may happen, especially if it happens without an agreement (see Cytûn’s briefing paper for an explanation of the implications of that). The Working Party is especially concerned about the possibility of an increase in hate crimes around the time of departure – as, sadly, was seen following the attacks on mosques in Christchurch, New Zealand, on March 15 (see also page 2). We will therefore be seeking to ensure a friendly and reconciling response from all religions to any incidents in Wales. The communications network of the Welsh Government’s Faith Communities Forum will be essential in ensuring that this happens. The ongoing request from outsourced provider We Are Digital for assistance from churches and other community groups in helping EU, EEA and Swiss citizens in Wales to access the Home Office’s Settled Status scheme to confirm their right of abode in the UK. After a number of pilot phases, the scheme opens to all those eligible on March 30, and is free of charge. The position of UK citizens in EU and EEA countries and Switzerland. Guidance on the current position from the UK Government can be found here: https://www.gov.uk/uk-nationals-living-eu We are grateful to COMECE (the Catholic Bishops’ Conference in the European Union) for their assistance in helping Cytûn to understand the position, and for keeping this issue before the EU Commission. Contingency plans being made by Trussell Trust regarding their network of foodbanks and by other member churches and organisations who serve the most vulnerable in society. There is particular concern at the coincidence of Brexit with the rollout of Universal Credit, with the potential effects of the one exacerbating the known effects of the other. Concerns expressed by the Assembly’s Constitutional and Legislative Affairs Committee about a lack of scrutiny of secondary legislation in devolved areas in preparation for Brexit being passed in Westminster (rather than the Assembly). Further information will be published on the Wales & Europe section of the Cytûn website as it becomes available. The Wales Civil Society Forum on Brexit maintains a comprehensive website, including an updated guide to organisations preparing for Brexit. The 21st March 1960 became the reference point for the world’s assessment of the apartheid government in South Africa, it being the day of the Sharpeville massacre (pictured left), which occurred after a day of demonstrations against pass laws. Six years later, the UN declared 21st March as the International Day for the Elimination of Racial Discrimination. To mark that day, and, terribly, just six days after 50 Muslim men, women and children, the youngest just three years old, were shot dead by a supremacist terrorist in Christchurch, New Zealand, I attended a one day conference exploring unity and solidarity amongst diverse communities in Wales in the context of Brexit and the hostile environment. The well attended conference was presented by EYST, the Swansea based charity supporting BAME (Black and Ethnic Minority) people across Wales, and Race Alliance Wales. A very varied programme of speakers included Deputy Minister and Welsh Government Chief Whip Jane Hutt. Ms Hutt brought greetings and expressions of solidarity from First Minister Mark Drakeford. The Welsh Government is committed to diversity as a principle. The Minister also announced some amounts of money that would now be available for work in the areas of concern of the organisations represented there. While these amounts were welcomed there was some concern expressed during the conference that they would have to be competed for by bodies working in this field. There are many ways in which life for BAME families is improving in Wales but, particularly since the calling of the Brexit referendum instances of hate crime and abuse have increased in Wales, as in other Western countries. The appalling massacre in New Zealand is a dreadful example of this horrific trend but here also anti-Muslim hate crimes reported across Britain increased by 593% in the week after, an independent monitoring group, the charity Tell Mama, said almost all of the increase comprised incidents linked to the Christchurch attacks. There was little doubt among the attendees at the conference that the Brexit process, along with the hostile environment created by the Home Office, initially when Mrs May was Home Secretary, are both contributory causes to attacks on BME people generally. These attacks also specifically demonstrate hatred of Muslims and, through ignorant association, Sikhs and Hindus. The point was made that fear of immigrants is not being demonstrated by the “left behind” citizens but rather by those with moderate income. Wales needs to build a data base of evidence of racial hate acts to provide credibility and veracity. Some surveys are based on samples that are too small and unrepresentative, but where surveys are well conducted they can provide illumination. For example: of 16 and 17 year olds going into apprenticeships: 0.6% identify as black, 0.7% as mixed race, 1.1% as Indian, 1.5% as disabled and 97.3% as white. The average assets of white people are £221,000, black Caribbean:£76,000, Bangladeshi: £21,000 and Black African:£15,000. The Conference was designed to bring together all the charities and agencies working with BAME Welsh peoples to help in creating a united standpoint and to some extent the day celebrated that unity. However any celebration was overshadowed by the horror of the Christchurch attacks and the long history of inequality and exploitation of BAME peoples. The Home Secretary has boosted funding for next year’s places of worship protective security to £1.6 million to reassure communities and safeguard mosques and other places of worship. This is double the amount awarded last year. In addition a new £5 million fund will be opened to provide security training. The funding boost, announced in a written ministerial statement, comes after the terror attack in Christchurch claimed the lives of 50 people and injured 40 more. Following the incident, police presence was stepped up at mosques across the UK to reassure communities fearful of similar attacks. The places of worship fund, established in 2016 as part of the UK Government’s hate crime action plan, provides financial support for physical protective security such as fencing, lighting and CCTV. So far, more than a third of grants under the scheme have been awarded to mosques. The government will also open a consultation with faith representatives and organisations including the Anti-Muslim Hatred Working Group, Tell MAMA, the Independent Advisory Group and other, on improvements to existing policy to protect faith communities. To increase uptake in the fund and ensure it reaches those most vulnerable to hate crime, the bidding process will also be simplified so organisations no longer have to prove they have previously experienced a hate crime incident directly. In addition the government will be streamlining the supplier arrangements for bidders, after which the programme will open for applications. Places of worship, including mosques, will also benefit from a new £5 million fund over 3 years to provide protective security training to build on some of the positive work already happening in communities. This is in recognition that physical protective security is only part of the solution, and institutions, their staff and volunteers need to have security understanding to ensure protective measures work effectively. The Home Office says that it will engage closely with communities on the scope of this new scheme to ensure it meets the needs of all places of worship covering security. It will then undertake a competitive process to determine providers of the training and plan to start delivering in 2019 to 2020. Young people across Wales were polled by the National Assembly for Wales to find out what they wanted the Welsh Youth Parliament to prioritise. Three thousand young people between 11 and 18 were asked to select their top three issues from groupings of two thousand issues. Emotional and mental support was selected as the top priority, chosen by 36%, followed by Homelessness (27%), bullying and cyberbullying (21%) and job opportunities for young people (19%). At the end of February, the Welsh Youth Parliament met in the Senedd in Cardiff and finalised the three subjects they want to focus on during their two year term as members – emotional and mental support; littering and plastic waste; and life skills in the curriculum. 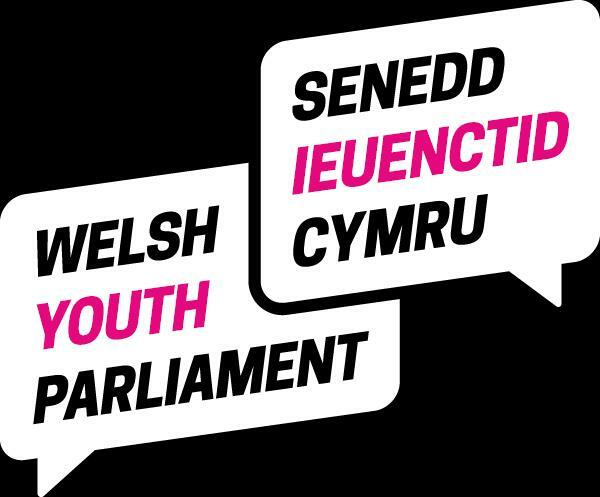 The Youth Parliament’s dynamic website – well worth looking at whatever your age – can be found at https://www.youthparliament.wales/ A number of the members of the youth parliament are active Christians and members of other faiths, and Cytûn looks forward to engaging with the members during their term office. The record-breaking and extreme weather of February 2019 has emphasised again the importance of Wales both adapting to climate change (as discussed in February’s Policy Bulletin) and also contributing to tackling the change. Welsh Government published its plan to work towards a Low Carbon Wales on 21 March 2019. 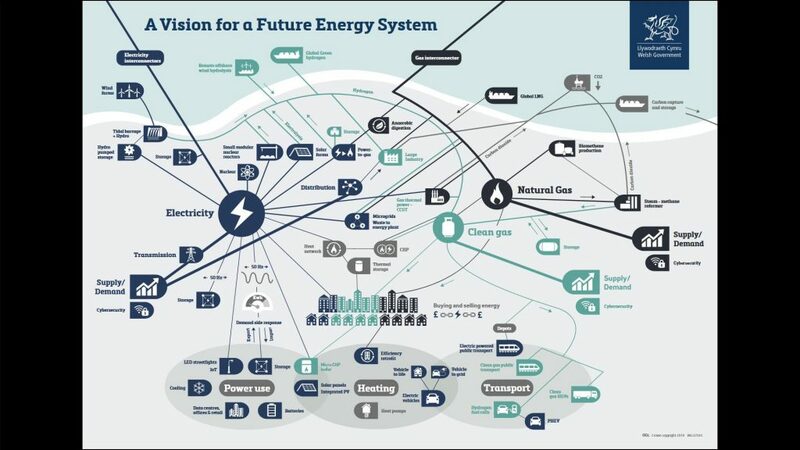 It also includes the pictogram below illustrating a vision for a low energy Wales (© Crown Copyright) – a downloadable version of which can be found here. The Plan pulls together 76 existing pieces of policy from across the Welsh Government, UK Government and the EU where decarbonisation is integrated either as a direct outcome or a wider benefit. Some of these are recently announced Welsh Government policies such as the Economic Action Plan and Renewable Energy Targets, or revamped policies such as Planning Policy Wales where decarbonisation is now a central pillar. Welsh Government Minister for Environment, Energy and Rural Affairs, Lesley Griffiths, said in a written statement, “Our policy effort stretches across sectors and encourages leadership, collaboration and involvement at all levels. Many of the policies focus on helping the transition to a low carbon economy, ensuring a fair and just transition and maximising well-being opportunities for all. I will establish a Climate Just group to advise Welsh Ministers on the low carbon transition. “Whilst we have focussed on sector actions within the plan, we need transformation across all sectors and levels of society. I am, therefore, pleased Cardiff University will be the lead UK organisation tasked with establishing a new centre for Climate Change and Social Transformations (CAST). This is a major investment from the Economic and Social Research Council, which is providing £5 million for this Centre for at least 5 years. “Many of the important actions in the plan stretch out across Government. Business has a crucial role to play in decarbonisation. Our new Economic Contract is based on the principle of public investment with a social purpose where support to expand business is provided in return for business helping us address some of the challenges we face as a country. I also recognise the importance of community leadership and the Welsh Government has today committed a further £4 million to the Welsh Government Energy Services’ Local Energy Fund, enabling even more community-led projects to take their projects forward. We are building the evidence base to make our existing and new homes energy efficient along with our retrofit programmes, which not only helps to reduce emissions but also can help to tackle fuel poverty, improve help and local skills. We are decarbonising our transport system through focusing on encouraging modal shift towards more sustainable travel and support the uptake of low emission vehicles. We are increasing our store of carbon through our woodland creation activities and we have refreshed our Woodland Strategy, providing further funding and guidance. We are also re-shaping our land management policy following and building on our successful waste policies that help move us to a circular economy. 3 million people have been affected by massive flooding caused by a devastating cyclone and heavy rainfall in Mozambique and neighbouring southeastern African countries. Churches in the region are calling everyone to join in prayers for the wellbeing and protection of those affected. Christian Aid is participating in the DEC Emergency Appeal. Just before the cyclone hit, as the 4th UN Environment Assembly concluded in Nairobi, Kenya on 15 March, faith leaders at the gathering warned that the current ecological crisis, if not urgently addressed, could grow to a catastrophe. The leaders from across the world had been attending the assembly as part of the “Faith for Earth Dialogue.” Nearly 5,000 delegates had gathered in the East Africa city to discuss the ecological crisis. “My sense is that we have not fully understood the urgency of the situation we are in. The resolutions…at this UN assembly are important, but I think they can go further in helping humanity towards a sustainable direction. I think it’s important that these resolutions be enforced which is some cases is not the case,” said Rabbi Yonatan Neril, founder and executive director of the Interfaith Centre for Sustainable Development in Jerusalem. This is the first time the faith leaders have sat together at a UN assembly to listen to the ecological engagements and best practices of each other. “We have a wide constituency at the grassroots level. It is very important that the message of the stewardship of the earth be taken to that level,” said Temple. With thanks to the World Council of Churches for supplying material by Fredrick Nzwili, a freelance journalist covering the UN Environment Assembly in Nairobi. Cytûn will as usual co-ordinate the presence of our member churches and organisations in the three major national festivals of 2019 – the Urdd National Eisteddfod in Cardiff Bay (May 27 – June 1); the Royal Welsh Show in Llanelwedd (July 21 – 25) and the National Eisteddfod of Wales in Conwy County (August 2 – 10). We look forward to meeting you there, and our full programme of events will be published in due course. The National Eisteddfod authorities have informed us that they are planning changes to the site of the Eisteddfod (the Maes) at Llanrwst, after receiving technical reports which raise health and safety concerns regarding part of that site. The reports detail risks of flooding on the site and it has become apparent that the Eisteddfod could not be insured on the basis of current plans. As a result, the Eisteddfod’s Management Board has decided that these plans will be adapted. Therefore steps are now being taken which are designed to secure a solution by redesigning the plans for the site, and utilising adjoining land. This work is dependent on discussions with landowners and specialist stakeholders. If these plans do not come to fruition, it is possible that we will need to look beyond the current site within the area, and move the Maes in its entirety. Cytûn and its member churches have been involved, along with representatives of other faiths, in extensive consultation throughout the preparation of the new curriculum for schools in Wales. We have reflected the varying views of faith communities on Religious Education, Relationships and Sexuality Education and on the curriculum as a whole. Formal responses are made by individual churches and faith groups; Cytûn’s role has been in ensuring that all have an opportunity to participate. The draft of the whole new curriculum will be published on April 30. Cytûn will publish a briefing paper on its website as soon as possible, and a summary will be included in the May 2019 Policy Bulletin. Publication date: 7 February 2019. The next Bulletin will be published on 28 March 2019. "Cytûn: Eglwysi Ynghyd yng Nghymru/Churches Together in Wales Limited"
Copyright © 2019 Eglwysi Ynghyd yng Nghymru | Churches Together in Wales. Powered by WordPress. Theme: Spacious by ThemeGrill.